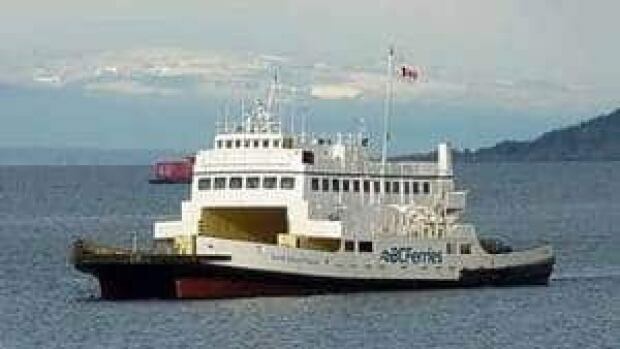 There will be no increase in the cost of BC ferry travel this spring. BC Ferries has just announced that the scheduled April 1 tariff increases will be offset by the lower cost of fuel - great news for ferry travellers. A forcast of hurricane force winds and heavy seas has caused Alaska Marine to cancel the sailings between Homer and Kodiak Island for Feb. 23 and 24. The MV Tustumena will sail between Homer and Seldovia Tuesday, Feb. 23. Regular schedules are expected to resume Feb 25, 2016. Clippers Seattle-Victoria ferry service just got a boost. With the recent purchase of a majority share in Clipper Vacations, the German owned Förde Reederei Seetouristik has announced that they will begin a new service between downtown Victoria & downtown Vancouver this spring. The 3 hr route has been tried several times in the past but has always suffered stiff competition from the much faster downtown to downtown air services: float plane service provided by Harbour Air, and for those with deep pockets (or on a company expense account) the equally fabulous Helijet. Fun to see who posts what fares to entice passengers but almost certainly travellers between the two cities are going to be big beneficiaries. Förde Reederei Seetouristik (FRS), a global ferry and shipping company based in Flensburg Germany has just purchased a majority share in the year round ferry service between Seattle & Victoria. Clipper who for some 30 years has operated a year-round ferry service between Elliott Bay in Seattle to Victoria, is about to launch a new route connecting downtown Victoria to downtown Vancouver. Alaska Ferries today announced that the fast ferry MV Fairweather will serve Juneau, Haines, Skagway and Sitka four days a week this summer. This in response to public comment from Sitka residents who had previously been looking at significant reductions in their ferry service. Earlier this week motorcyclists planning to start their summer vacation by boarding an Alaska ferry in Bellingham saw their 1st leg costs double. The price to transport a motorcycle & rider from Washington into Alaska on the ferry went from under $500.00 to just under $1,000.00. Ever resourceful, this group of "2 wheelers" have discovered that by crossing the Canadian boarder only 30 Minutes N of Bellingham, they could still enjoy the spectacular Inside Passage trip by travelling from Port Hardy to Prince Rupert aboard a BC Ferry. Optional private cabins at 105.00 are available for the trip or for 35.00, a seat in the Aurora Lounge where the restricted swipe card entry ensures a spectacular 280 degree view & a reserved recliner chair. The upscale Northern Expedition makes the 15 hour trip between Port Hardy & Prince Rupert every other day thru the summer and the roads from Rupert into Alaska are motorcycle friendly. The Port Hardy - Prince Rupert route fare (motorcycle & rider @ $232.25) is a fraction of the recently released Alaska ferry costs and the low Canadian dollars adds additional savings to anyone travelling with Euros or US Dollars. It should however be noted that passports are required whenever crossing a border; that Canadian law prohibits the entry of weapons into the country and, that a DUI is considered a felony which can result in being denied entry into Canada. Alaska Marine has released a new January schedule for the MV Tustumena cross-gulf sailings. The vessel will sail as follows through Jan. 28, 2015. 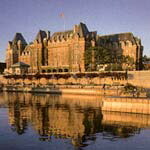 Starting at 270.00 for 2 days and 1 hotel night in downtown Victoria, the ferry/hotel packages offered by Clipper are a travellers dream. Working between the "old reservation system" for reservations up to the end of April, and the new res system for bookings between May - September, has caused a bit of confusion and some lengthy phone waits as Alaska bound travellers try to secure the latest ferry fares. The hardest hit under the recently increased fare table seem to be the motorcyclists. The good news however is that longer vehicles ( RVs and vehicles over 15' in length) got major reductions. A truck and trailer (40' combined length) travelling Bellingham to Whittier this spring was approximately $400.00 dollars more than that same trip will cost this summer. BC Ferries serving 47 communities along the west coast is both one the largest & best operated ferry systems in the world. Constantly maintaining and upgrading their fleet of 35 vessels, September 2015 saw the sale of the Queen of Chilliwack (renamed the Lomaiviti Princess) to an retired BC Ferry engineer who now owns an Inter-island ferry service in Fiji. Two more ships, the Queen of Burnaby and the Queen of Nanaimo are slated to go up for sale within the next 6 months. 3 new ships are on order and delivery is expected within the year. The Jan. 11 cross-gulf sailing between Homer and Juneau has been delayed approximately 24 hours. Severe weather in the Gulf of Alaska at this time of year often results is ferry delays so please call the terminal to check bookings. The estimated arrival time in Juneau from Homer is now Tuesday, Jan. 12 at 23:45 p.m.
Alaska Marine released their summer tariffs today and the fare increases are both complicated and substantial. Roughly, but depending on routes chosen, travellers will now pay up to 21% more to transport their vehicles on the Alaska ferries and passengers on many routes are looking at +13% more than last week. Cabins costs are up by route and the cost to take your pet on your ferry trip has also gone up. The waitlists are growing but it is hoped that the 2016 Alaska ferry fares and schedules for the upcoming summer will be released Monday 11 of January as predicted by the Alaska Marine management. Severe Alaska Marine budget cutbacks combined with the controversy over proposed decreases in some 2016 ferry schedule frequencies, has resulted in the summer release date suffering delay after delay. Unlike other ferry systems, Alaska Marine did not raise its rates for a number of years and is now working to try and ensure fares are more realistic and cover a greater portion of the actual cost of travel. It is anticipated that with the release of the Summer 2016 Alaska schedules, another fare increase may occur. On 01 January 2016 in a surprise move and effective that day, Alaska Marine implemented fare increases to their already published Spring schedules. The fare increase was necessary but without any advance notice, was totally unexpected and unplanned for by either the traveling public or tour/travel operators. Historically the summer schedules & fares for the Alaska ferries operating May thru September have been released in October/November of the year prior, thereby enabling holidaying visitors / residents to take advantage of the advance booking discounts and special fares provided by the major International airlines. BC ferries has announced that the Queen of Burnaby (currently in drydock until 31 Jan) is to be replaced at the end of 2016 with a new ship currently under construction in Poland. The new vessel scheduled to provide service between Powell River & Comox is one of three vessels able to operate on either diesel or LNG that BC Ferries is currently building in Poland. The two other new BC ferries will operate between the Southern Gulf Islands and Vancouvers' Tsawwassen terminal. Alaska ferry service between Homer & Kodiak Island is expected to resume today 09 January 2016. Scheduled ferry service on the MV Tustumena was cancelled on Jan 07 & 08 due to severe weather. A call to the Homer terminal at 907-238-8449 to confirm todays sailing is on time is recommended. A leaking propeller seal has caused Powell Rivers' Queen of Burnaby service to be temporarily replaced as of Jan 05, 2016, with the smaller North Island Princess. The repair time for the aging Queen of Burnaby is expected to be about 3 weeks. New Years Day Surprise ! A 5% fare increase for all ferry travellers! On January 01, Alaska Marine raised their currently published spring rates by 5%. The rate increase on spring travel (and which applies to vehicles, cabins and passengers travelling on the Alaska ferries) was unexpected, but is effectively immediately. The Summer 2016 Alaska ferry schedules ( May thru September) have still not been confirmed but the latest word is that they will be released around 11 January. The big question is whether Alaska Marine will implement another raise in their rates for May-September ferry travel; and if so, by how much? Alaska Ferry schedules for the May - September 2016 period have once again been delayed as discussion on how to best serve the smaller communities on reduced budgets, continues. The latest release date is expected to be mid-January. The ramification of the delayed schedules has been both general frustration and missed early airline booking discounts.